A detached shed is an accessory structure that is permitted on a single-family property. If you are interested in a shed for a commercial, multi-family or institutional property, please contact the Community Development Department. Sheds must meet the zoning requirements listed below. 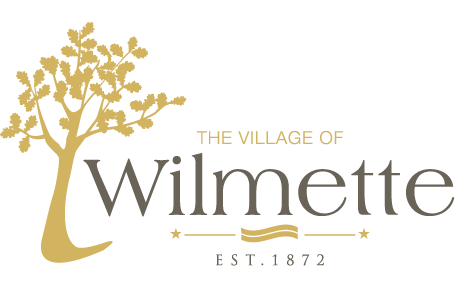 Please contact the Community Development Department at (847) 853-7550 or at comdev@wilmette.com to discuss the specific zoning regulations that apply to your property. Setback requirements: Setback requirements vary by the size and shape of the lot, the zoning district, and whether it is a corner lot, interior lot, or double frontage lot. Sheds are not permitted in the required front yard, side yard adjoining a street, or minimum side yard. Sheds are allowed in a required rear yard but still must meet a minimum setback from the lot lines. Please contact the Community Development Department at (847) 853-7550 or at comdev@wilmette.com for help determining what the required setbacks are for your property. If possible, please have your plat of survey available. Maximum height: Sheds are permitted up to 10.0′ in height from adjacent grade to the highest point of the roof. Impervious surface coverage requirements: Sheds, as accessory structures, must meet the impervious surface coverage requirements, which are based on their location on a lot. Total lot coverage and floor area: Sheds in excess of 64 square feet are counted as square footage for lot coverage and floor area. The maximum permitted lot coverage and floor area vary by lot size. Separation from house: Sheds, as accessory structures, are to be a minimum of ten (10) feet from the nearest wall of the house. Separation between accessory structures: A minimum of four (4) feet separation is required between roofed accessory structures as measured from the walls of each structure. Maximum number of accessory structures: Lots less than 15,000 square feet in area are permitted two (2) detached accessory structures; lots 15,000 square feet or greater in area are permitted three (3) detached accessory structures. The following structures are counted as accessory structures for the purpose of this requirement: detached garages, gazebos, coach homes, beach houses/cabanas, boat houses, sheds, swimming pool equipment sheds, detached pergolas, and similar structures. Maximum size of roofed accessory structure: As a roofed accessory structure, an individual shed may not exceed 200 square feet in area.